For audio tracks and videos please visit WORKS. UN POSIBLE DIA, quasi un radio dramma, for soprano, actor, ensemble, electronics and optional video. Maja Pavlovska (soprano), David Jisse, actor, ENSEMBLE 2E2M, Pierre Roullier (conductor), technique: La Muse en Circuit. Live recording, Festival Extension, Théâtre de Villejuif, FRANCE, 20.05.2011. Co-produced by the Ensemble 2e2m, the Parisian center for music and new technologies “La muse en circuit” and the FONCA/CONACULTA of Mexico. 1. Exabrupto (1998), for 3 instr. groups, 1 pno. and 1 perc. 2. Tiento (2004), for violoncello and electronics. 3. 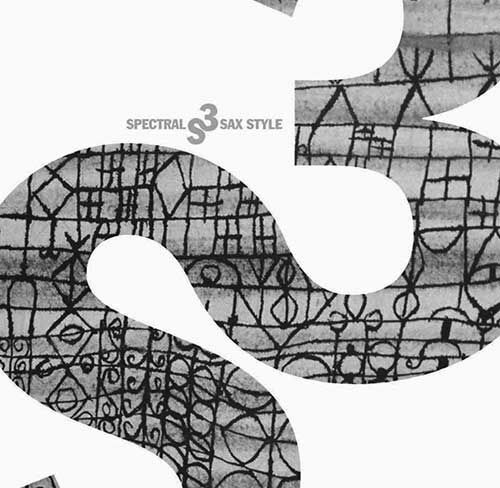 The unexpected clock in the mirrors (2005), for violin, bass clarinet and ensemble. 4. Orior (1997), for piano solo. 5. De ignoto cantu (2004), version for 5 players. 6. Luz, for accordion and string quartet. Nouvel Ensemble Moderne, Lorraine Vaillancourt, conductor. 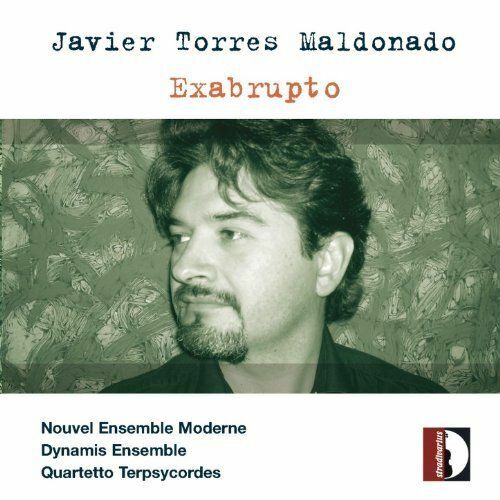 Dynamis Ensemble, Javier Torres Maldonado, cond. 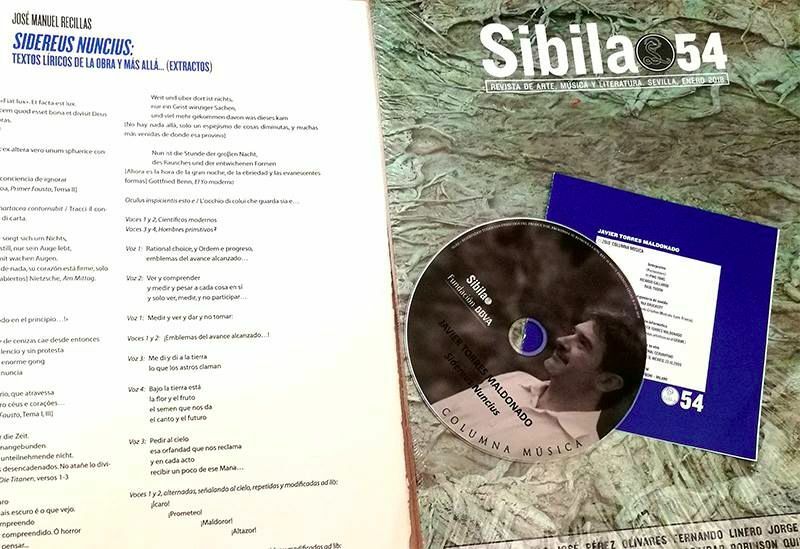 CD published with the prestigious Spanish SIBILA, ART, MUSIC AND LITERATURE magazine, No. 54, May 2018. 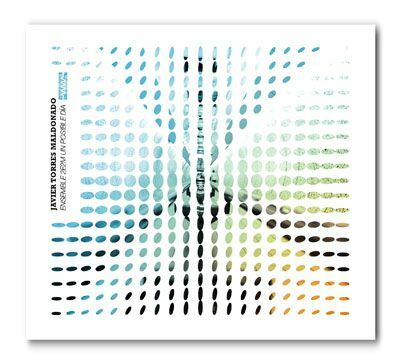 Sidereus Nuncius (2009), for percussions (3 players), dancers and electro-acoustic interactive system. Performers: Yi-Ping Yang, Ricardo Gallardo and Raul Tudon (percussions), Max Bruckert (Sound engineer, GRAME, Centro Nacional de Creación de Lyon, Francia). Live Recording: Festival Internacional Cervantino, Teatro Juárez, Guanajuato, Mexico, 23.10.2009. © Columna Música, Revista Sibila. The publication includes the article SIDEREUS NUNCIUS: EL MENSAJERO SIDERAL, by Javier Torres Maldonado, and the poetic texts SIDEREUS NUNCIUS: textos de la obra y más allá... (Extractos), by José Manuel Recillas. Album title (3 CDs): CONCOURS REINE ELISABETH, VIOLON 2005. Includes the work by Javier Torres Maldonado (First prize, compositon section) imposed to the 12 finalists of the famous competition. Listen to the 12 performances from THIS LINK. Exabrupto (1998), for 3 instrumental groups, 1 pianist and 1 percussionist. Performers: Nouvel Ensemble Moderne, Lorraine Vaillancourt, cond. Album of two CD's, it contains works of K. Beilharz, S. Azevedo, Y. Plamondon, O. Rayeva, B. Joyce, and Javier Torres Maldonado. Album (2 CD's) produced by the Mozarteum in Salzburg, includes Orior (Second prize, compositon section), work imposed to the finalists of the fortepiano section. 3rd. INTERNATIONAL FORUM, ENSEMBLE ALEPH. 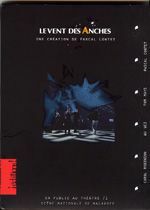 A lavish 150-page presentation (in French and English) with composer interviews, photocollages and a CD, distributed to the audiences of the concert and available for consultation in European contemporary music resource centres. Work included: DE IGNOTO CANTU (2004), performed by Ensemble Aleph, includes an interview to the composer by Makis Solomos. For more info please visit the Ensemble Aleph's web site. Jesús Núñez (sax), Juan D. García Aguilera (electr.). 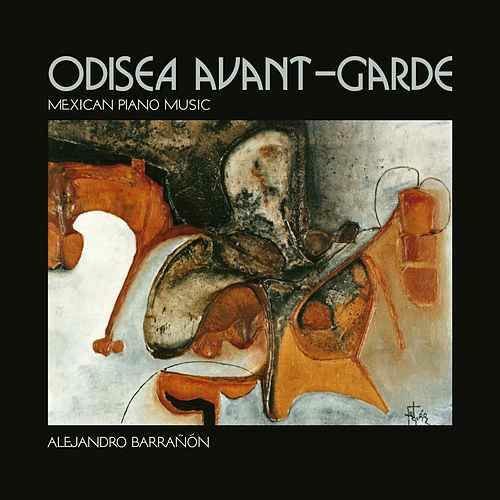 Includes ALBORADA (2004), version for saxophone and electronics. Other works by Alberto Carretero, Juan de Dios García Aguilera, Voro García, Antonio J. Flores, Eneko Vadillo and Arturo Fuentes. 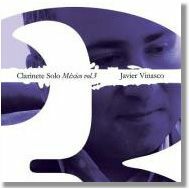 DESDE EL INSTANTE (2002), 3 pieces for clarinet. Zoomescope - Harmonia Mundi - Editions du Point d'exclamation. Includes Ventus animae (2007), electroacoustic composition by Javier Torres Maldonado (composed specifically for this production), as a part of the spectacle conceived by Pascal Contet and presented at the Scène National de Malakoff (Paris), LE VENT DES ANCHES. Pascal Contet (accordion), Wu Wei (sheng, bawu, Ehru), Carol Robinson (clarinettes, Byrbyne), Tom Mays (sound and video real time treatment), Xavier Lazarini (light conception), Christina Clar (hall audio engineer). Production; Al Gran Sole - Milan. 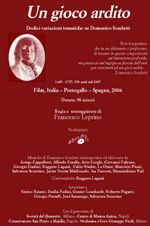 A film by Francesco Leprino. Includes the video recording of Ad Imitationem Moduli (2004), for string trio. Performers: Ducio Ceccanti (violin), Yasha Zats (viola), Vittorio Ceccanti (violoncello).